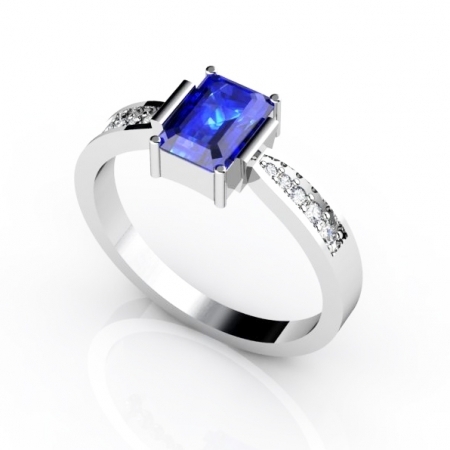 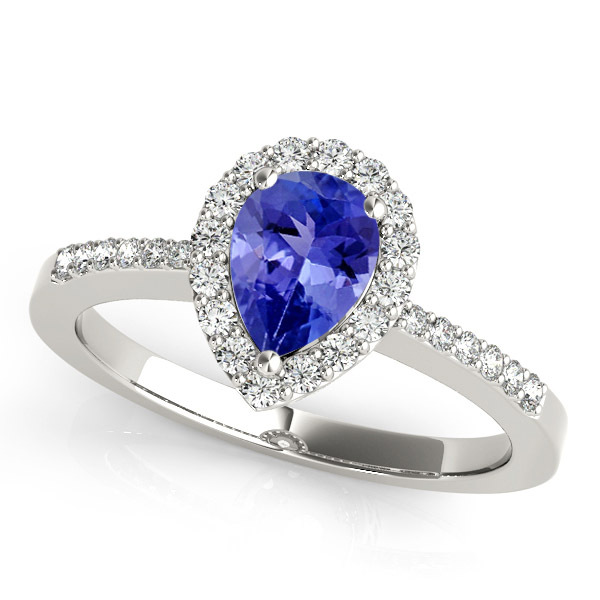 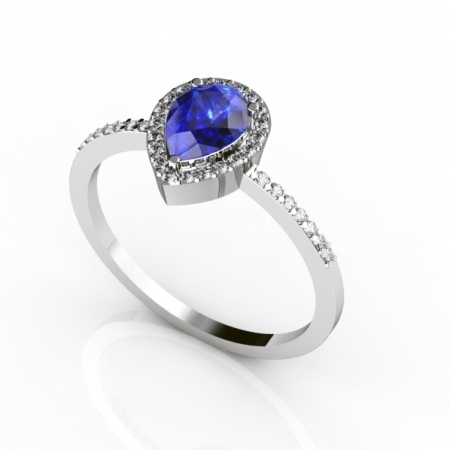 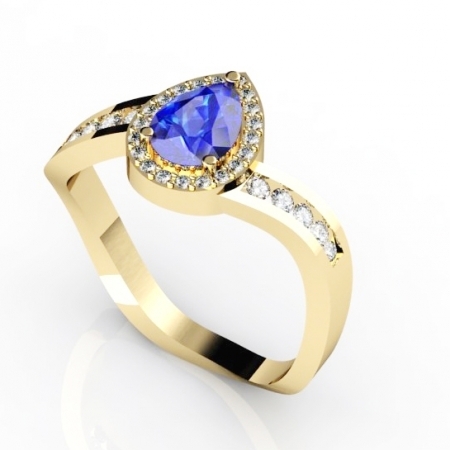 Drawing inspiration from a bygone era, this ring showcases a pear cut tanzanite at the center. 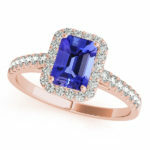 Shimmering diamonds in a floating halo surround the dazzling blue-purple center stone and also cascade down the shank. The intricate scroll work along the gallery adds a vintage touch to this 14k rose gold tanzanite halo ring.